Enjoy a combination of charm and tradition as you study Spanish in Castellón! Studying Spanish in Spain involves much more than simply spending a few hours in a classroom. 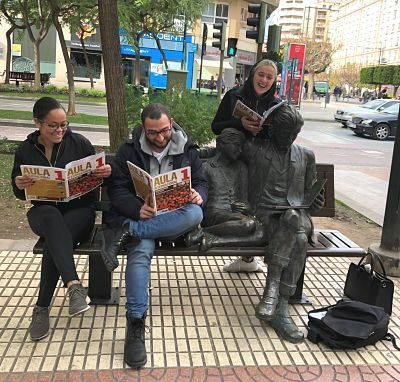 Although the contact with our excellent Spanish teachers is deeply enriching, a Spanish course in Spain is above all a social, cultural, and linguistic experience. Castellón, set in a privileged geographical position provides the perfect setting and in ágil spanish institute, we make the most of it. Surrounded by mountain ranges and natural parks that host a unique vegetation and wildlife, Castellón embraces the Mediterranean with its heady combination of mountain air and sea breezes. It’s a medium sized city with around 170,000 inhabitants. This gives it the advantages of a large settlement in terms of technology and services, but also all the charm of a village that has been able to conserve its tradition and its identity throughout the passing of time. Its public squares and its famous inns are the perfect places to make informal contact with the locals, a key part of the immersion process which ensures that the language you are learning becomes a living entity. It’s a welcoming city where it’s easy to make new friends, or perhaps even fall in love! Castellón offers a wide range of leisure options and plenty of opportunities to get to know one of the most fascinating cultures in Europe. For this reason, in agil Spanish institute, we focus a large part of the learning on complementary activities that reinforce the lesson in the classroom. The old centre is a great starting point to explore. The majestic Santa María Cathedral built in the XIII century dominates the Plaza Mayor, curiously separated from its adjacent bell tower known as the Fadrí. The square is the perfect place to observe the rhythms of local life, to linger over a glass of wine or a coffee, or to get to know the local products from the sea and the surrounding orchards, which are the pillars of the local gastronomy, best discovered at the enticing Central Market. The rich local cuisine owes a great deal to the city’s location hemmed between the sea and the mountains. There is no better way to discover Spanish culture than to sample the local food and drink and Castellón offers many opportunities to do so. Traditional wineries abound, serving regional and national wines and a multitude of bars and restaurants, experts at preparing the legendary local paella, as well as a number of other rice, and of course fish dishes. One of the best places to try a typical menu is the emblematic fishing and industrial port area, known as the Grao where you can enjoy local dishes with spectacular sea views. 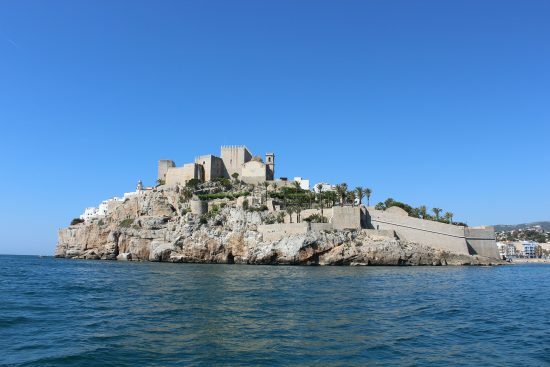 The Grao is also the starting point for trying your hand at a variety of water-sports in an inviting crystalline sea. In fact for sports lovers Castellón offers a wide range of options. The mountains that surround the city and the wider region are perfect for hiking and cycling, or for quirkier activities such as mushroom picking excursions. It’s a great way to explore some of the villages of the interior such as Vilafamés or Morella where time moves at a different pace altogether and every stone and church tower seems to breathe history. For lovers of the coast, Castellón is perfectly located to discover treasures such as the emblematic ports of Peñíscola and Oropesa, fiercely loyal to their fishing and nautical traditions, or when it’s time to party, to visit nearby Benicassim or Burriana, famous for the FIB and Arenal Sound festivals. But the immersion process wouldn’t be complete without the many local fiestas that show that tradition is still very much a living thing in Castellón. The famous Fiesta de la Magdalena which culminates in the popular “romería de les canyes”, is a celebration of the city’s origins in the XIII century when king Jaume I authorised a new settlement on the coast. It’s a full week of music, traditional dance, and rockets and fireworks as the local inhabitants take to the streets and invite you to join in all the fun and enter into the irresistible spirit of the party. Castellón offers a unique and unforgettable experience and agil Spanish institute, as the only accredited center in the province for the Instituto Cervantes lo learn Spanish, knows how to take advantage of the charm of its land. Castellón represents Mediterranean culture in its purest form where visitors can arrive and feel completely immersed in Spanish life from the very first moment. It’s a place to rest, and also a place to party, and of course a place to discover warmth and a multitude of surprises. Above all it’s the perfect setting to immerse yourself in Spanish and meet a whole lot of new friends.